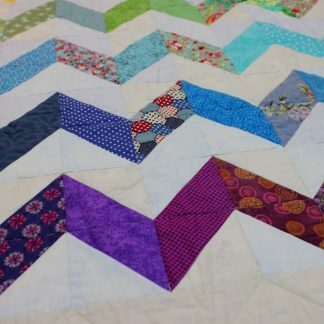 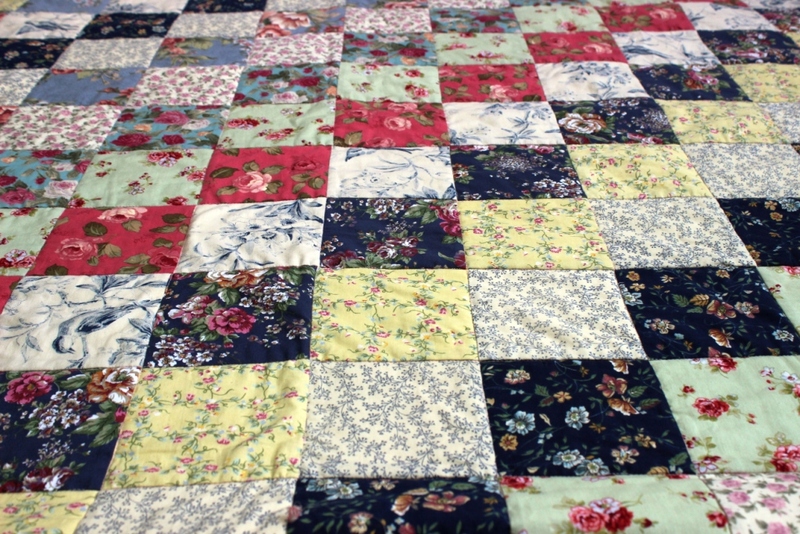 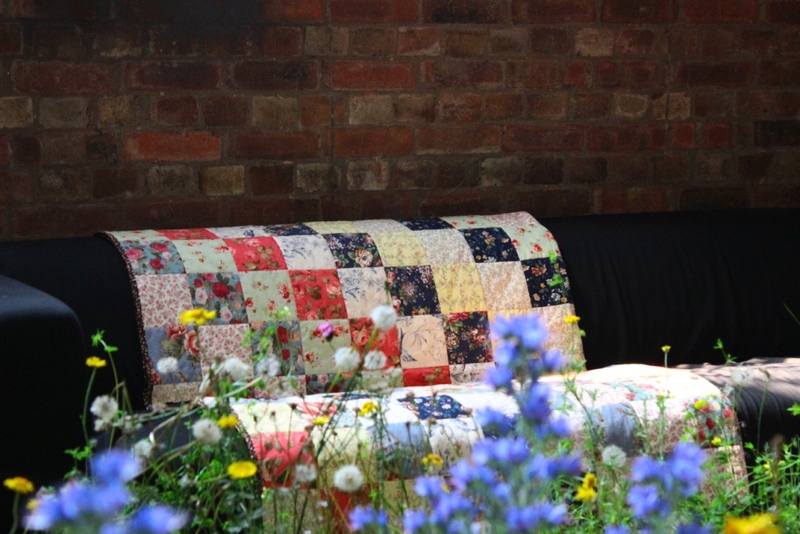 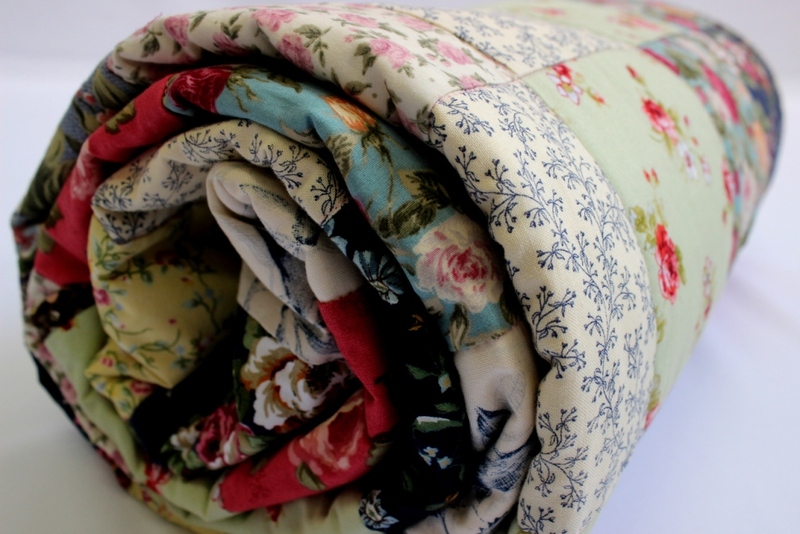 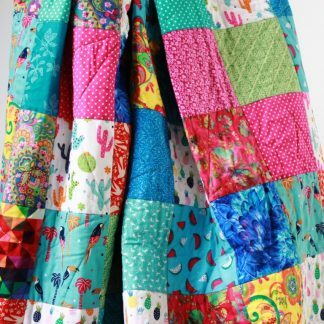 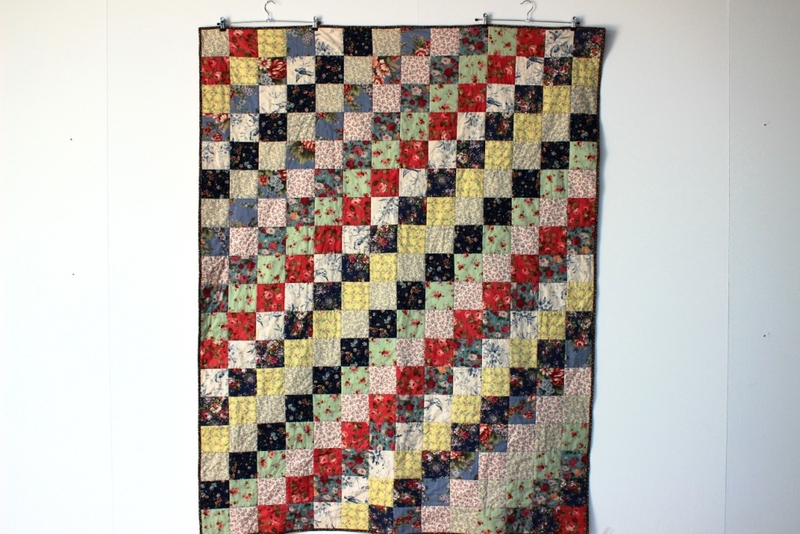 A vintage style cotton quilt full of gentle soothing flowers. 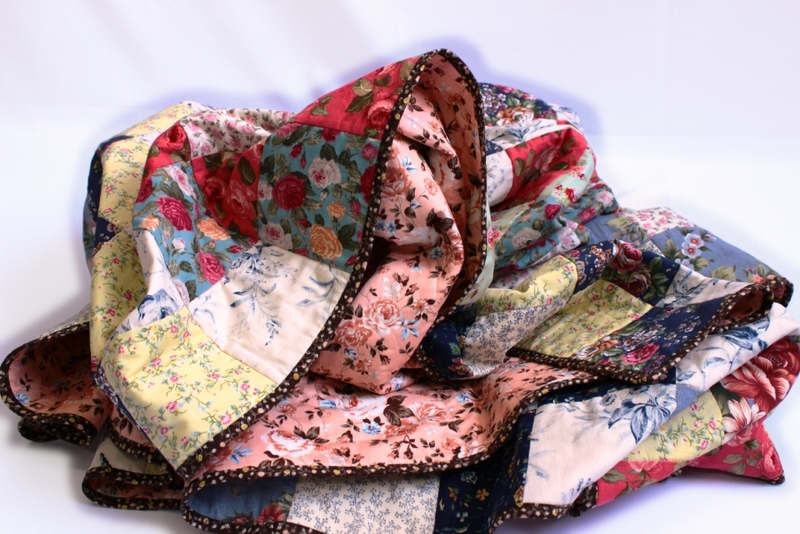 Backed with a peachy pure cotton featuring roses. 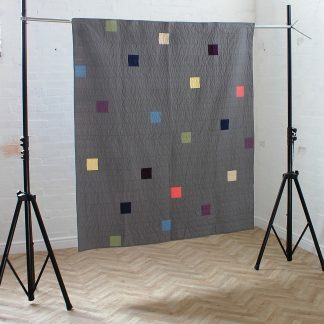 Measures a huge 160cm x 200cm (63″ x 79″).